Majestic rich natural Lapis Lazuli earrings. Opaque and glossy, flecked with gold an exquisite quality. Luxurious, light and comfortable. Expertly designed for a glamorous lady. 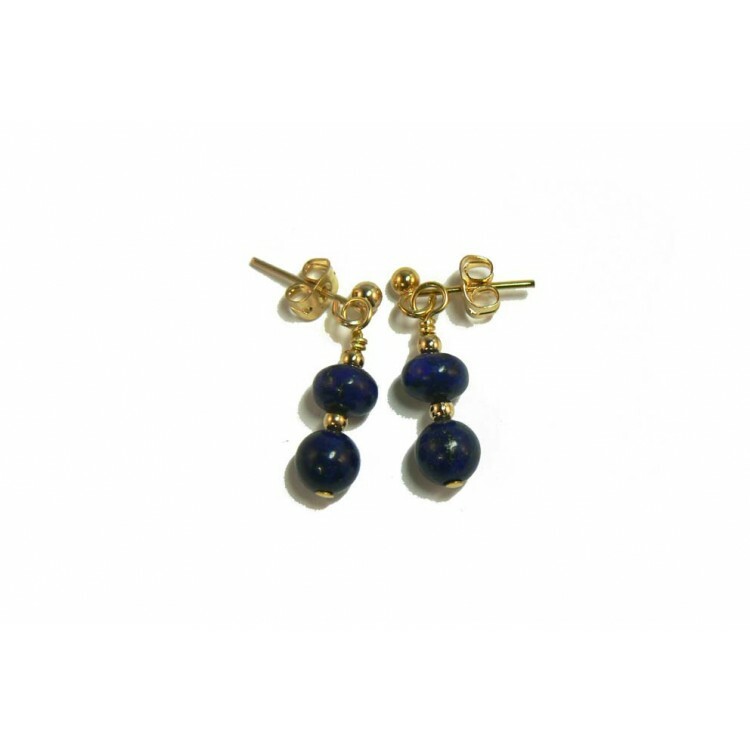 I have lovingly created these irresistible lapis lazuli earrings with 6mm round and rondelle shaped beads, and tiny gold plated spacer beads between. I have attached them to gold plated "nickel free" earring posts and scrolls, to comply with EU directives. Check out the matching necklace.